As evidenced by the recent AgTech Summit hosted by Forbes magazine in Salinas, CA, action in precision farming and the wider world of ag technology is heating up in horticulture crops. Precision farming and its wider world of “ag tech” is wildly diverse across regions, crop areas, and practical applications in the field. But at its heart is one goal: the so-called “digitization of the farm,” which promises not only to improve the agronomic quantity and quality of the farmer’s output through more data-fueled understanding of what’s going on in the field, but also to make farms more sustainable and with a greater ability to trace products from seed to market, with distinct benefits resonating up and down the food chain. 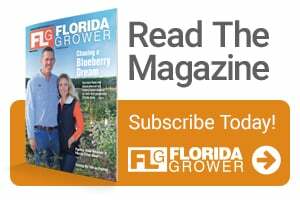 It’s heady stuff — but how do you as a grower make sense of it all, with actionable insights and strategies that you can apply to your operation over the next two or three years? 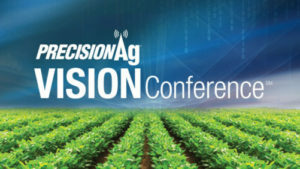 The upcoming PrecisionAg Vision Conference might be a big help. Organized by Meister Media Worldwide, parent company of American Fruit Grower, Western Fruit Grower, American Vegetable Grower, and Florida Grower magazines, the Vision Conference will bring together some of the brightest agriculture leaders with technology and data experts from across the country to examine the big trends and technologies that will impact the ag industry over the next decade. Established as something of a complementary bookend to the Forbes AgTech Summit, the Vision Conference will bring an in-the-field agricultural sensibility to this groundbreaking gathering, which also will attract participants from trade association, manufacturer, supplier, technology, and financial sectors. The event has been endorsed by and is supported by the cross-industry Coalition for the Advancement of Precision Agriculture. If you’re a grower who is acutely interested in how technology is going to impact your operation in the coming years, we hope you’ll check out our Conference agenda and make plans to join us October 18-20 in Phoenix, AZ. 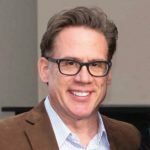 James C. Sulecki is Chief Content Officer and Head of Global Precision Initiative for Meister Media Worldwide. See all author stories here.